We can all agree that no event longer than an hour should go without some sort of snack. To leave out such a fundamental part of the human experience… shame! But after settling on the idea of including food to your event, you need to decide on your approach to catering. Catering typically takes up 30-35% of the total budget. You’ll want to ensure that you’re using every bit of that budget correctly—you’d be surprised how quickly it goes! 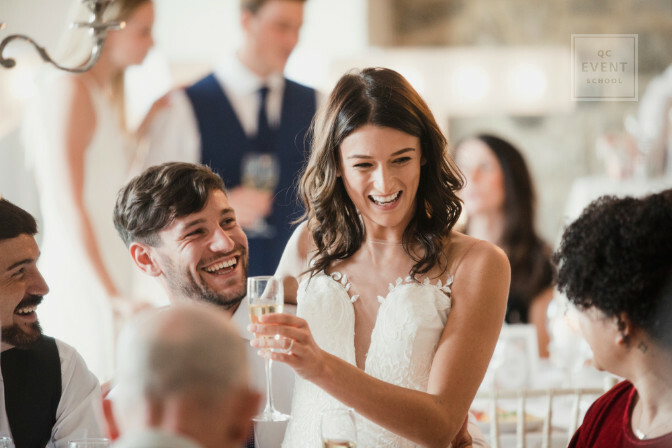 If you’re just getting started in event planning, you probably lack the extensive event coordinator training to know exactly the type of catering you need for every occasion. Don’t worry! We’re going to break it all down for you. 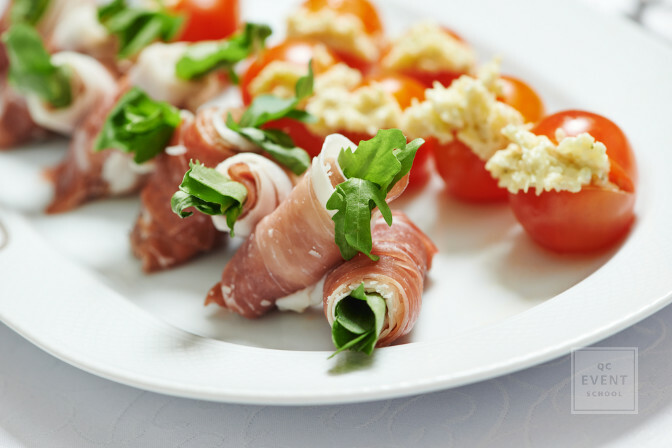 Keep reading to find out how to choose the best type of catering for your next event! Buffet catering service is where all the food is located in one area of the venue. Tables of guests take turns walking along the buffet line and serve themselves. Although, additional wait staff may be hired to serve in line at the buffet. Depending on the number of attendees, there may be more than one buffet station located apart from one another in the venue. 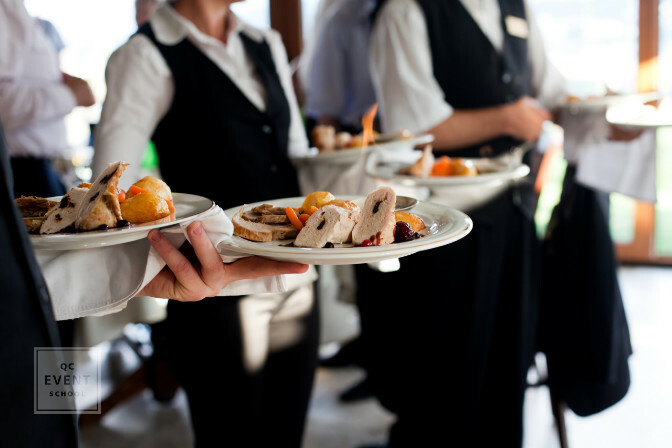 As the second of the main service styles, plated catering is more formal and classy compared to the buffet. Events that are most suitable for this style are generally semi-formal to formal. Attendees decide on their meal choices ahead of time—an appetizer, an entrée, and a dessert. Meals are similar to those you’d find at a mid-to-upscale restaurant, and everyone is served at the same time. Family-style catering is a compromise between the buffet and plated catering styles! Instead of having complete meals on individual plates, each plate is loaded with just one dish. Waiters bring out large plates of food from the kitchen to the center of each table. Guests around the table can then help themselves. 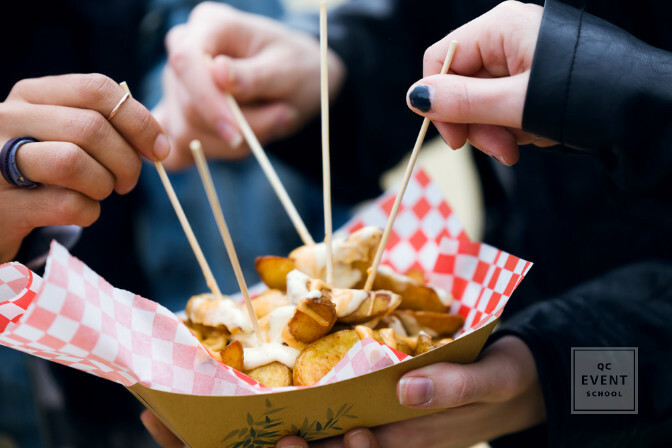 Food truck catering is best suited for casual events. One or more food trucks are parked at the venue. Event guests then elect when they would like to eat and line up to get their chance to order. Food is made-to-order. Guests then find a seat in communal dining areas. Finger foods and small, snack-sized meals are served buffet-style on a table. 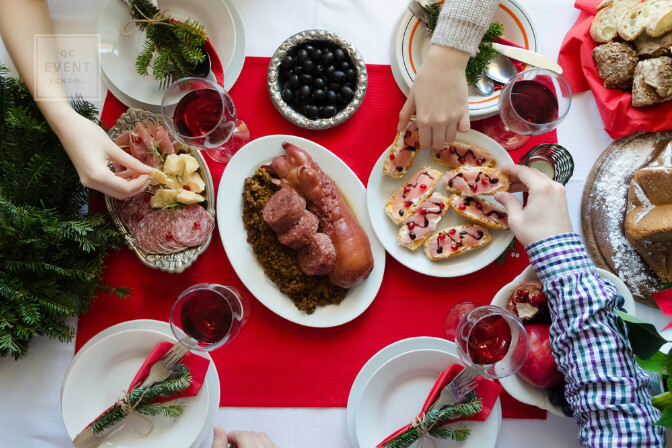 Guests are invited to socialize as they serve themselves from the table. Hors d’oeuvres are attractive but aren’t designed to completely fill stomachs. A formal way of serving food. The food options are often bite-sized canapes, similar to what you would find at a cocktail reception. The difference lies in the service style. Servers walk around the mingling guests with trays of food. Guests then choose the finger foods they want from the trays and serve themselves. Remember that no matter the budget, you should always consider the number of guests attending the event. 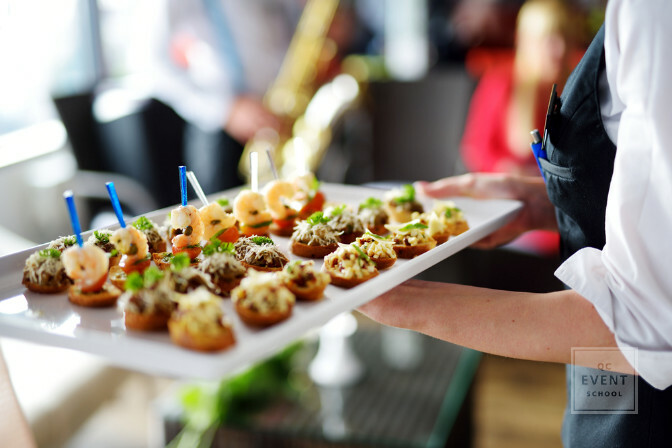 Knowing these two factors will help you narrow down the type of catering services dramatically. Other factors include the type of event, level of formality, and venue restrictions. Always communicate openly with your client and you’ll be able to find a solution that everyone is happy with! Did we miss any other catering services styles? Let us know! Catering doesn’t just come down to the service on the day-of. 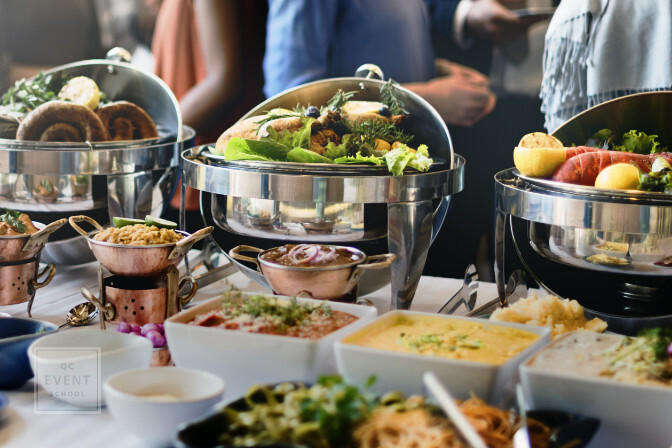 Check out this post for 4 meal planning tips for your next event!